mwe3: Can you tell the readers where you live now and where youre from originally? What do you like best about living in Florida? Gonna get hot soon right? Todd Grubbs: I live in Brandon Florida just outside of Tampa. I was born in Fairborn, Ohio but my Family moved to Florida soon after my birth. I lived in Boston for a few years when I attended Berklee College of Music but outside of that I have called Florida my home. I do love the warm weather, my limited experience in the North has convinced me I would rather deal with the heat. mwe3: The band on your new CD As The Worm Turns features your core band of drummer Jeff Henry and bassist Alan Tatum. How long have you been working and performing with Jeff and Alan and what is the chemistry like between you? I noticed Jeff and Alan were also featured on Beautiful Device and I also remember Derek Sherenian was on Time, Space And The Electric too. 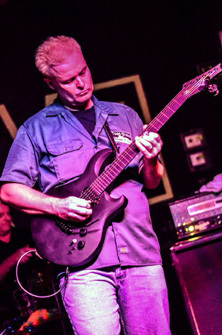 Todd Grubbs: Jeff has been with me since Beautiful Device, Patrick Bettison actually played bass on Beautiful Device but Alan came on board after that CD and has been with me since. They are both great players and really good friends and they both have a passion for playing and a great work ethic. I think our chemistry is, from playing together for years and having a respect for each other, I always listen to their ideas and they usually have good ones. It was a really cool to have Derek Sherenian on Time, Space And The Electric. I would love to have him on something again in the future although I have been working with a great keyboardist named Daniel Swartwood lately who lives down the street from my studio. mwe3: Many of your fans are probably surprised that As The Worm Turns is a rock vocal album with no instrumental tracks. You mention the 3 Green Windows albums featured vocals but most of your solo albums have been instrumental guitar fusion. Did you have a specific concept in mind when you were writing and recording the songs on As The Worm Turns and how did you come up with the title? thats why my little Grubbworm guy is in the TV. Its kind of silly but it gave me the chance to use my new Virgil guitar as the artwork for the CD. mwe3: How did you decide on the vocalists for As The Worm Turns and did you record live in the studio with the musicians or some of it done on location and through overdubs or the internet? Tell us about your recording studio in Tampa. mwe3: Theres so many great tracks on As The Worm Turns and you have some excellent singers to help you with your songs this time. For example, on track 9 Fabric Of The Day you have Melanie Sims on lead vocals. How did you meet Melanie and what else can you tell us about Fabric Of The Day? I was amazed at your Hendrix-like guitar tone. Was that the idea on that track? Jimi would have loved that song! 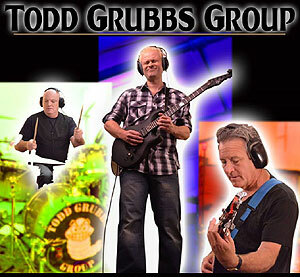 Todd Grubbs: Thanks that is a huge compliment I wasnt thinking Hendrix at all but now that you mention it, he was a huge early influence especially the way he recorded and his creative way of approaching music as art. Melanie is a wonderful young singer she was a friend of Alans son and I just loved her voice. I am a massive fan of Kate Bush and both Melanie and Emily remind me of her and it was a lot of fun to work with them. The subject matter of "Fabric Of The Day" is kind of heavy it is about the victims and the families of the 9/11 tragedy. I wrote the music to this song from a one take drum improvisation that Jeff henry did. mwe3: Track 3 on As The Worm Turns is The Other Side Of Forever which features singer Emily Velasco. Its truly a high point on As The Worm Turns. Tell us something about The Other Side Of Forever. It has such a powerful and melodic hook in it. What kind of statement did you set out on The Other Side Of Forever? 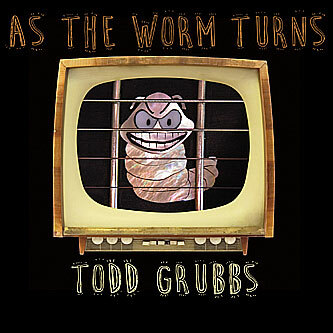 Todd Grubbs: The first 4 songs of As The Worm Turns is actually a concept piece about a soldier at first battling his demons in mid-life (Man In The Hat) then his experience during D-day (Stay Alive). The other side of forever is the soldiers wife back at home on the exact moment of D-day having her own experience and missing her husband. We Are One is the soldier at the end of his life coming to some realizations about himself and all of us. Emily does a great job on this one I have a bunch of new songs recorded with her that I cant wait to put out. mwe3: Is the music business a lot different now than when you first started releasing music? Has the internet changed your music in a positive way? Where do you see technology taking music next? Is there a silver lining for the artists as they give away free spins on YouTube and the like. Todd Grubbs: Making money in the current music industry is hard but it has always been difficult. I am thrilled that I am able to produce and release my music exactly the way I want without anyone owning it or trying to muck it up. I really think musicians need to think outside of the box and think of new ways to make money. I was able to do a Kickstarter to procure the funds for production of As The Worm Turns and all it really turned out to be was a pre-sale opportunity, I also sold a lot CDs from my discography. mwe3: The opening track The Man In The Hat is a powerful way to start off As The Worm Turns. Zak Stevens is featured on lead vocals. Tell us something about working with Zak on The Man In The Hat and track two Stay Alive. mwe3: You have said that the first four tracks on As The Worm Turns is about a soldiers mid life crises. Musically and lyrically, it seems like you were very moved by these stories. How does thinking about these things like war impact your music? Todd Grubbs: The older I get the more I appreciate how difficult war is for everyone involved and yes I am truly moved by these horrible situations especially since most of the people fighting and suffering are kids. I cant imagine at 19 or 20 dealing with the harsh realities of war. mwe3: Track 4 on As The Worm Turns is We Are One which is in some regards the center piece of the album. It seems it all comes together for you on that track. Tell us about your working with John Wesley on that track and what inspired the song and the video that is on you tube now? How hard was it to put the footage together for the We Are One video together? Todd Grubbs: John is a good friend I have known him since I was 15. I am a big fan of his music and his work with Porcupine Tree and he was nice enough to do the vocal for We Are One. This is another situation where I gave him a demo of me singing the song and when I got it back, he improved it 10-fold. I do all my final mixing and mastering at his studio Red Room Recorders along with engineer Mark Prator who is also brilliant. mwe3: You play an interesting looking and sounding electric guitar on As The Worm Turns. What are the electric and acoustic guitars youre playing and recording with on the new CD? Do you consider yourself a gear head? You have been mentioned in the same breath as Steve Vai and Joe Satriani. Do those guys impact your playing these days? 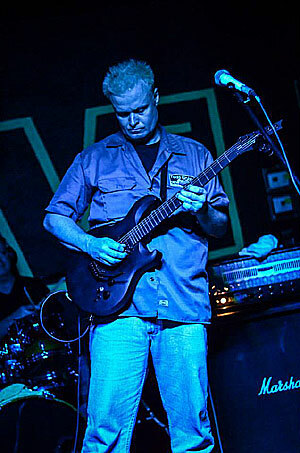 Todd Grubbs: I endorse a small builder named Virgil guitars and he built my dream guitar to my exact specs. I truly love this instrument and play it all the time and he is going to build me a new one for my next CD. I also have Strats and Teles along with a bunch of other odds and ends including a Martin Shenandoah acoustic. I am not a total gear head but I have some cool stuff. Vai and Satriani were big influences but I am tired of trying to be amazing, I am just working on being a really good player and a good songwriter. mwe3: Do you like writing and recording more melodic rock vocals and instrumentals or do you prefer the harder rocking (heavy metal) sounds? I notice that point on the other track with Emily singing lead Venus Is Falling. Theres some excellent dynamics on that track yet its also very tuneful. 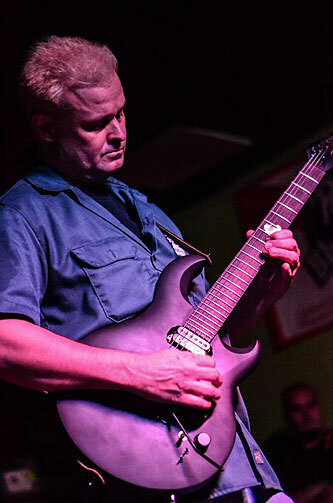 Todd Grubbs: I have never considered myself a metal player, I do like heaviness as a dynamic but my interest are much broader. I tend to like more quirky music but at the same time I am a big fan of melody and song writing. I love the freedom to stylistically jump all over the place. mwe3: How did you decide on Todd Plant to do the vocals on Living The Good Lie and My Name Is Joe. I had to check the title twice as its usually Living The Good Life! Lol Are those tracks kind of the Zappa influence on your music? In what ways did Frank Zappa impact your sound and vision? he made me realize that the important thing is to write and record whatever interests you and to not be influenced by others telling you what is cool or correct or current. mwe3: What about Johnstown? Sounds like a country rock track. You took the lead vocal on that one right? Sounds like youre playing acoustic guitar on that? Do you like to double acoustic and electric guitars on a track? Its a great concept! Todd Grubbs: Johnstown is a true story about a flood in the late 1800s that wiped out a small town in Pennsylvania. After I released this, I found out that there was a Grubbs family that was killed and the husband actually worked for the railroad, spooky! I do like recording acoustics I may do more of this down the road. mwe3: I had to do a double take on Its Redunkulas! Another Zappa style track or at least a Zappa like title! How did you come up with that title? Tell us about the guitar break in that track as theres some great effects on the guitars. What pedals are you playing on guitars on that track and for that matter on the album overall? You must own at least 20 pedals and guitar effects! Todd Grubbs: Its Redunkulas is just another one of my weird songs, this one is about politics so I think the music fits perfectly. I use a lot of effects that are contained within my recording softwaremostly classic modulations and delaysbut I also have all the Line 6 pedals as well a bunch of stand alone boxes. mwe3: Escape From You is a great way to close As The Worm Turns. And what about that fake ending! Lol A solid rock hook and classic ending! What more can a rock fan ask of a song! Todd Grubbs: At this point if something cracks me up I use it and this is a good example of that and of my twisted personality. mwe3: So whats next for you as far as promoting the As The Worm Turns CD, writing new music and even the chance for a live show! I guess the internet has made you a world renowned star but jetting to gigs around the planet is out of the question right? so I am working hard to get my foot in that door as well as continuing to write and record.